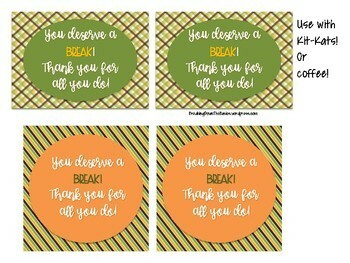 Thanksgiving is a great time for you and your students to show appreciation to the faculty and staff members who work so hard for our students! 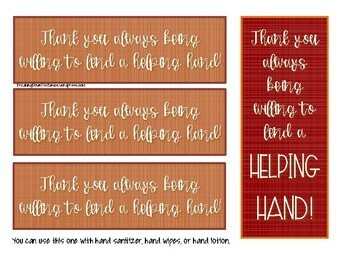 With the holidays being such a busy time, these print-and-go tags are an easy and quick way to brighten someone's Thanksgiving season! 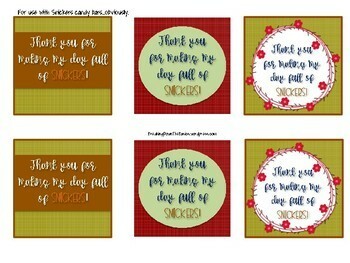 With different styles to choose from, this will be an effortless way to say "thank you"! 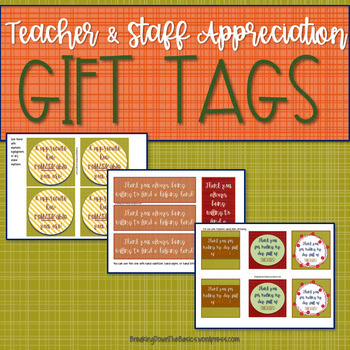 If you like these gift tags and are thinking to the end of the school year already, be sure to check out the End of the Year Student Gift Tags!